This new book by Marco De Cesaris, published in five languages, deals with Muay Boran advanced techniques, for the first time revealed in the Western World. 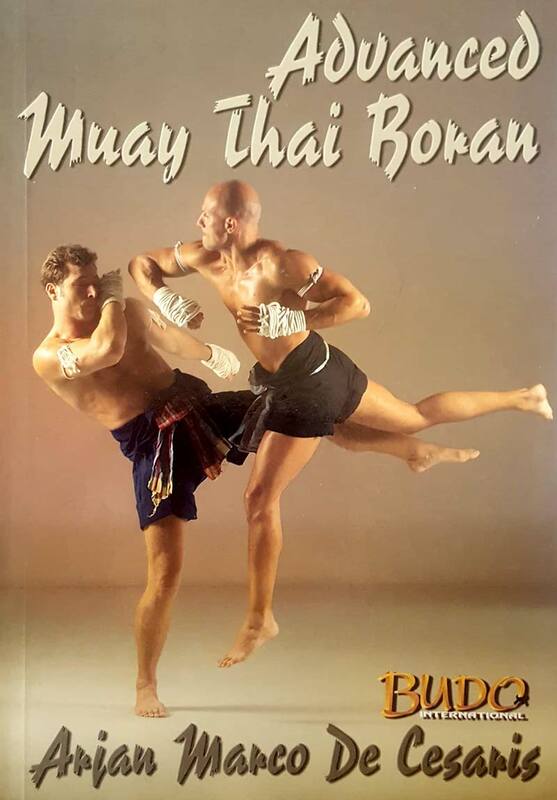 The author produced four more books and 15 technical videos but never explained in details the technical subjects treated in this new book, as all the Muay Thai Boran fans will surely appreciate. This 256 full color pages book, illustrates with the help of many clear photos Muay Boran advanced fighting principles and sophisticated techniques such as: traditional methods and timing of attack, the Art of Defence, Muay Thai Boran trapping techniques, Muay Pram grappling, locks and throws, military close combat Muay Ler Dritt, training with thai pads and heavy bag and more.